STAY FIT MINUTE: Merry Christmas! Hey, just a quick shout out to say Merry Christmas and Happy Holidays to everyone! The New Year is approaching... time to re-focus on your goals and continue to challenge yourself to improve your fitness and performance! 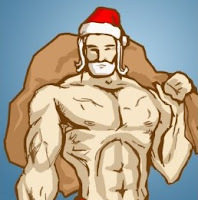 WIN the Battle of the "Holiday Bulge" This Year!